Community Action Services and Food Bank does not fit into my usual category of businesses I normally review since they are a non profit organization, but I'd like to highlight some of the work they do for the community. The most noticeable service Community Action provides is operating the food pantry. They act as the food bank for Utah, Summit, and Wasatch Counties. They also assist with heat and utility programs for low income families. I was recently surprised to learn that nearly 10% of Utahns live within poverty levels. It's admirable to provide food for those in need, but I am even more impressed with their efforts to address the root of the problem of poverty. Some of the other services offered include community gardening, and counseling services for home buying and mortgage counseling as well as many other educational programs to assist people to get out of poverty and achieve self reliance. 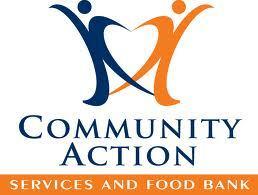 Because Community Action is a non profit organization, they rely on donations from the community. You can donate food, do volunteer work at the center, or make financial contributions, but I think the funnest way to promote and help their cause is by participating in their annual 5K race. This year, the race will be held on May 26th. Proceeds go to the center and there will be lots of great prices given away again this year which have been donated by local businesses. You can register for the race at this website. If you procrastinate, you can still register the morning of the race as long as you do so before the 9:00 start time. Community Action is located at 815 S Freedom Blvd. in Provo and you can visit their company website at communityactionProvo.org.